Our surveyors are members of and designated by the Society of Accredited Marine Surveyors (SAMS) to survey all yachts and small craft including vessels over 1600 tons. 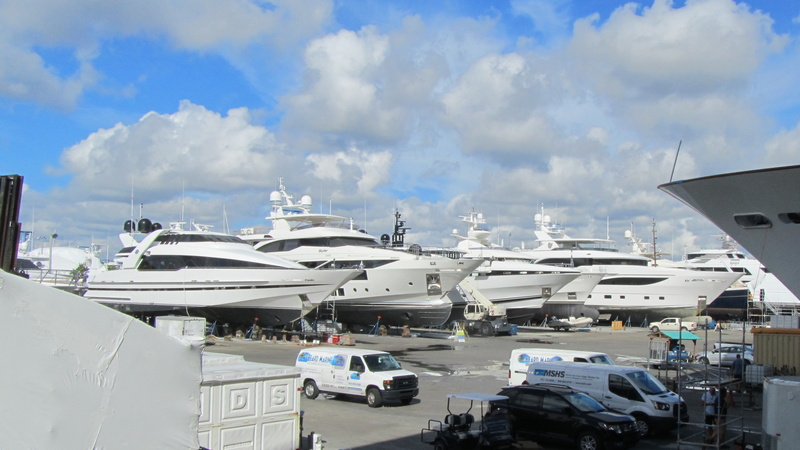 Abeking & Rasmussen, Azimut, Amels, Baglietto, Baltic, Beneteau, Benetti, Bertram, Broward, Boston Whaler, Burger, Cantieri di Pisa, Carver, C&C, Chris Craft, Cheoy Lee, Christensen, CRN, Delta, Diaship, Elsferther, Ferretti, Jeantot, Windship, Egg Harbor, Feadship, Grand Banks, Gulfstar, Hakvoort, Hatteras, Huismann, I.S.A., Jongert, Lazzara, Leopard, Lloydship, Luhrs, Lurssen, Mangusta, Morgan, Norship, Nordhaven, Oceanco, Oceanfast, Palmer Johnson, Perini Navi, Pershing, Prout, Picchiotti, Riva, SeaRay, Sunseeker, Swan, Swiftship, Technomarine, Tiara, Trinity, Tollycraft, Trumpy, Viking, Westship. A survey will be required by your insurance company or financial institution should you be taking a mortgage on the boat, but even more importantly it’s for your safety. It will also give you an in-depth knowledge of the boat you are buying. Our surveyors are accredited members of S.A.M.S.® a society that sets a tough entrance examination and a probationary time period before you can become a full member. It further requires as a condition of continuing membership that its surveyors gain continuing yearly educational points by attending courses, lectures, seminars, demonstrations, etc., ensuring that its members maintain their high professional standards. Our surveyors are experienced knowledgeable qualified professionals with engineering and boat building backgrounds and hold recognized professional qualifications and skills. Proficient Power and Sail real Blue Water sailors with thousands of sea miles to their credit. We have the knowledge and use the latest high-tech equipment and tools necessary to carry out a thorough survey on your behalf.